now that the engine code is available I tried creating a simple visualiser to aid in bot development. 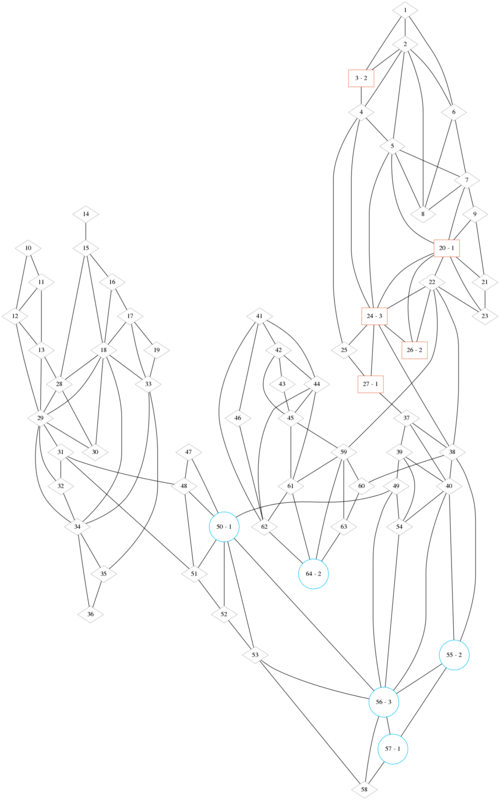 Sadly I'm not really skilled in neither Java nor graphics, so I tried to do it with graphviz. But it looks wonky and wobbles around a lot. Also it's quite ugly. Has anyone achieved something nicer looking and is willing to share? Hi, I am also using Graphviz to visualize WL2 games.